Have you ever heard of the phrase “baptismal regeneration”? The idea conveyed by this phrase is that a man’s regeneration is inseparable from the time of his baptism. There is a lot of discussion about just how that actually works out, and it is understood in different ways, some better than others. However, at the basic heart of the idea is the identification of baptism and regeneration. What are we to make of such an idea? Is there Biblical warrant for thinking that a person is always regenerated at his baptism? How does this compare with and relate to the concept of regeneration as a spiritual birth within a man by which he is united to Christ? Though there are phrases in the Bible that speak of such things as the “washing of regeneration” that might well make us think of the water of baptism, we should think through the concept of what we believe these phrases really mean. To begin with, the Bible teaches plainly enough that regeneration is a new spiritual birth to a life that is defined by union with God. This giving of new life is necessarily preceded by the washing away of the guilt of the past life and the putting to death of the old man. All of this is appropriately symbolized in Christian baptism, as the Bible shows. But the question here is whether these spiritual changes that are the substance of regeneration take place at the point of baptism. Is baptism the moment in which a man receives this grace of God and truly becomes born again? So some people do believe. I imagine that most people reading this post do not think according to this idea of baptismal regeneration. And the truth is that if we understand regeneration in the spiritual terms that we have seen the Bible use concerning it, we are very unlikely to accept the idea of baptismal regeneration. Many people who believe in baptismal regeneration redefine the term “regeneration” in a very different way. It is difficult to accept the idea that there is always a correspondence between the act of baptism and the actual occurrence of the spiritual birth within a man. What do we believe to be the “catalyst,” so to speak, for a man’s regeneration? That is, upon the presence of what elements is a man to be born again? Is it baptism? Or is it the combination of faith, repentance, and obedience in response to God’s working within a man’s heart to show him the way of truth? Now, without wanting to demean the importance of baptism, for the Bible does teach us plainly that this is the right and proper course of confession for all new believers, we do still have to question whether a man must wait for the waters of baptism before his regeneration will take place. Is there any reason to think this? I hope that you will already be in agreement that the answer is no. When a man repents of his sin and turns to Christ in faith, forsaking the old life and entering whole-heartedly into the new life with Christ, he will be born again. God will grant to him deliverance from the power of sin. He will wash away his old life with its guilt and sin. It is true that the man then will be baptized according to the command of God to make confession of his faith before men. But if it happens that the man is not baptized for another week or two or however long, the actual regeneration of the soul is not held waiting until that time is arranged. Apart from the larger theological issues that we have been discussing, which should lead us to see that baptismal regeneration is not a correct view, we can also point to the instances that we do see in the Bible where men seem to be saved before their baptism. 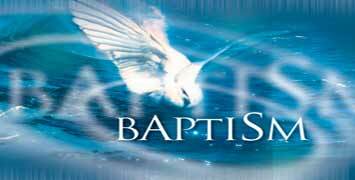 We see the Gentiles who receive the baptism of the Holy Spirit prior to their baptism of water. It would seem that at least some of these Gentiles were truly converted and regenerated before their baptism. We see the thief on the cross who was promised by Christ to enter into paradise and yet who never had the chance of baptism after his conversion. Now, it is fair enough, certainly, to point out that these are exceptional cases, and I am glad to admit that because I believe that the normal course is for men to be baptized upon their conversion. However, the presence of some exceptions to that rule does at least show that baptism is not essentially necessary to the actual event of a man’s regeneration. It is not the case that the actual waters of baptism have the power or are used as the essential instruments to bring new life to a man. There is no real Biblical basis for this idea. Now, my concern is not first and foremost with this idea of baptismal regeneration. As I already stated, I doubt that many of us are prone to think along this idea. But my concern is to use this example to help us think through what is more likely to be our own way of thinking and practice concerning some important matters. I will suggest that the same errors of thought that we see in the idea of baptismal regeneration are also to be found in the way that many churches in America practice evangelism and the reception of new converts into the church. At heart, the error of baptismal regeneration is conceiving of the spiritual reality of regeneration in terms of some mere physical act. We cannot seek to identify this spiritual reality with any one particular ritual that a man might do, even when that ritual is a good thing (even a commanded thing) such as baptism. But do we not do the same today all too often? In fact, this very matter of baptismal regeneration finds its own practical form in American churches today on a very large scale. Even though our theology does not state things this way, do we not basically accept people as Christian upon the fact that they were baptized in church one day? If a person wishes to become a Christian, is it not too often the case that we lead them through a rather ritual form of a particular prayer that they ought to pray and then baptize them and think that they now are born again? I hope that my stating of it does not find a lot of agreement in your mind and heart, but I still want to ask us to think if our practice does not far, far too often fall into this form. I am afraid that it does. Such has been my experience in life, at least. I want to make it plain: True regeneration cannot be boiled down to any one particular form or process of steps that must be followed. Because regeneration is a spiritual birth, only spiritual factors can be the “steps” one must take to be regenerated. One must certainly believe in Christ (faith) in order to become regenerated. But let me assure you, this is very different from simply saying “I believe” such and such truths. It is also very different than simply thinking that certain facts about Jesus are probably true. Rather, faith is a giving of one’s heart and life, an entrusting of the whole person and soul to God. This cannot be boiled down to mere words. What I am trying to say is that following a form and ritual pattern that represents spiritual realities is not the same as actually experiencing those spiritual realities. Baptism is a wonderful and divinely appointed form that signifies great spiritual realities: Cleansing from sin; death to the old man; resurrection to new life in Christ. But we should be careful not to give any impression to anyone that if they will just be baptized they can have a good hope and expectation that these spiritual realities will be theirs. In exactly the same way, we must not lead people to think that if they will just say the words that sound like repentance and faith, they will surely have repentance and faith and thus find regeneration. We give this impression to people far too often in evangelism today, I am afraid. It is a great evil that does great harm to the church body. Without actually adopting a theological view that by repeating these words and being baptized, a man will be regenerated, yet we follow a practice that seems to assume that such is the case. I hope you agree that no ritual can ever be thought of as the “doorway” to regeneration. This includes baptism, the sinner’s prayer, and anything else that we might set before a man as his way to follow. A man might indeed pray such a prayer as is commonly set before sinners and truly have the spiritual realities indicated by such words and truly be regenerated. And a man might indeed follow Christ in baptism and find his regeneration. A man surely is commanded to be baptized and make confession of Christ that way. But regeneration cannot be boiled down to any such act. Please, consider what you believe about regeneration and whether the practice of evangelism you see around you makes sense in light of it. It is very important. If it ever is granted you to have the privilege and duty to instruct a sinner in the way of salvation, tell such a person about the spiritual realities that he needs in his life. Tell him about the true nature of repentance, where a man leaves his sin because he has come to hate and detest it. Tell him about the true nature of faith, where we look to Christ and rely entirely upon Him both to forgive us and to give us new life and to sustain us day by day in that life. And don’t tell him that if he will just repeat some words of a prayer and be baptized, then he will be saved. That is not true. It may even undo all the good words of truth that you have already spoken to him. I am deeply concerned about this matter because it is a matter of the eternal destiny of souls and, yet even more serious, a matter of the purity of God’s church and people. So many people today have been brought into the church not on the basis of true regeneration and fitting signs that real regeneration has taken place (fruits of repentance, holiness of life, etc. ), but simply on the basis of the repeating of a prayer and the submitting to baptism. This has resulted in a church full of people who have not been spiritually regenerated. They have said a prayer, and they have been baptized, but they have not been born again. Thus, the church of God is in a sad condition very often in many places. God’s name is not rightly honored and esteemed, because what men see in those who are a part of the church is not worthy of God. And those many multitudes of men who have been told that they are born again because they followed the “prayer and baptism” ritual are in a terrible plight of thinking that they are saved when nothing (often) has really happened within them. They are the same old man as always. I implore us all to think about what true regeneration is and how it must teach us differently about how to deal with souls and how to preach the gospel. I hope that you have seen the true picture of what regeneration is and that you will now be willing to think about what implications that true picture has for the practice of our religious work. It is so important. This entry was posted in WordThink and tagged baptism, baptismal regeneration, born again, evangelism, Regeneration, ritualism. Bookmark the permalink.